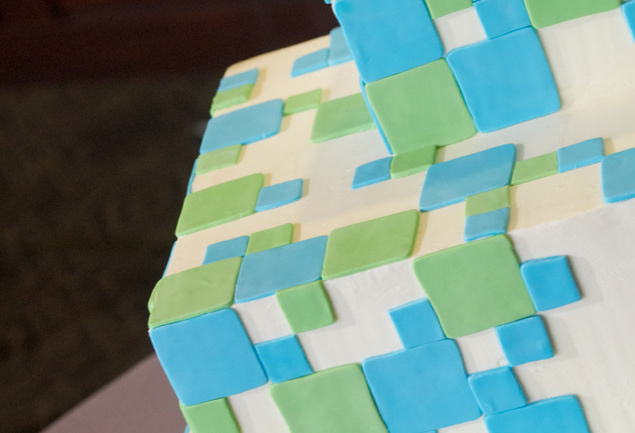 A couple spiced up the typical wedding doldrums with a retro videogame theme. 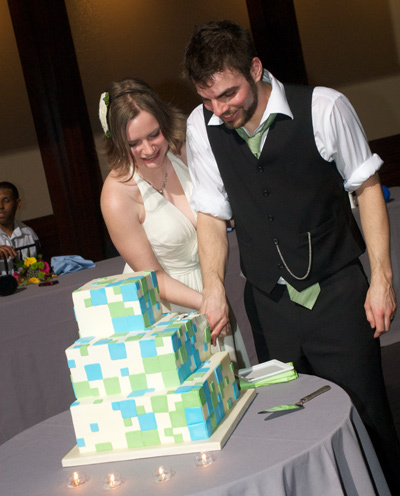 We've seen geekish weddings before that have spanned themes from superheroes to BioShock, but I think I'm calling the pixelated unity of Chris and Kelly one of the best yet. It's almost as if they were sucked into an NES and got married whilst made of 8 bits. 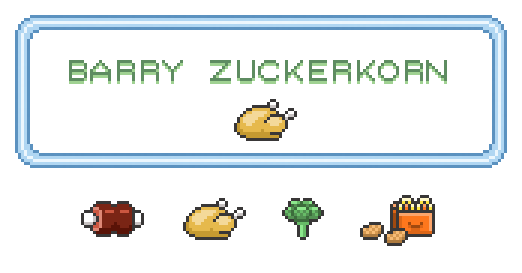 The duo of web programmers and artists pixelated their entire wedding from beginning to end. 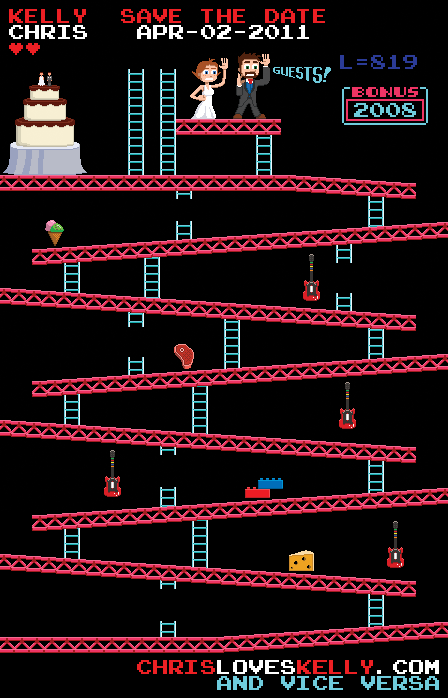 It all started with the wedding invitation, which featured a virtual Chris and Kelly standing atop level 1 from Donkey Kong, asking friends and family to save the date where the high score normally should be. RSVPing online took people to a website that used the theme of Super Mario Bros. 3 for the opening screen, Mega Man for the wedding information page, and Dragon Warrior so people could input their names one letter at a time. Every single attendee took the opportunity to RSVP online, of course. Everything from the actual wedding itself also had an 8-bit or videogame theme. 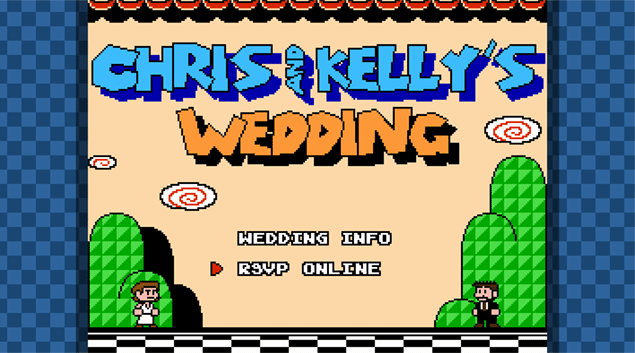 The programs featured two very Legend of Zelda: Link to the Past versions of Chris and Kelly holding up their wedding rings. 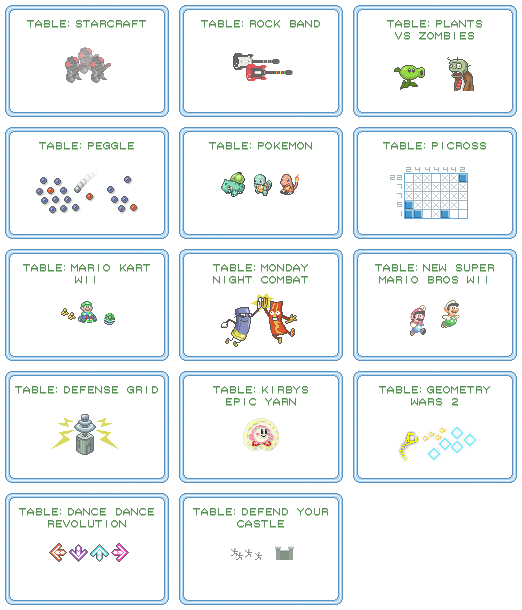 The table cards were adorned with the attendees' choices of pixelated entree, like the meat from Adventure Island, and the tables themselves were named after games like Plants vs. Zombies, Pokemon, Peggle, and Kirby's Epic Yarn, each with custom pixel art as decoration. 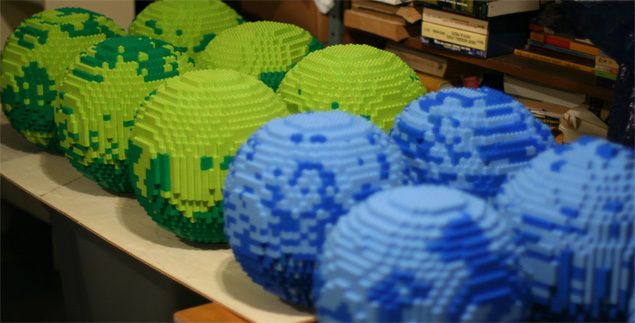 The wedding centerpieces, always a big deal, were 1,600 piece, 25cm-in-diameter Lego spheres that looked like something out of Minecraft, while the cake itself also had a pixelated theme. 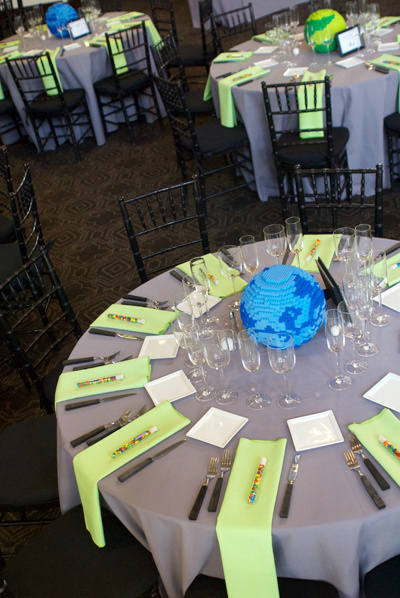 As you might expect, Chris and Kelly's reception looks like it was a blast. 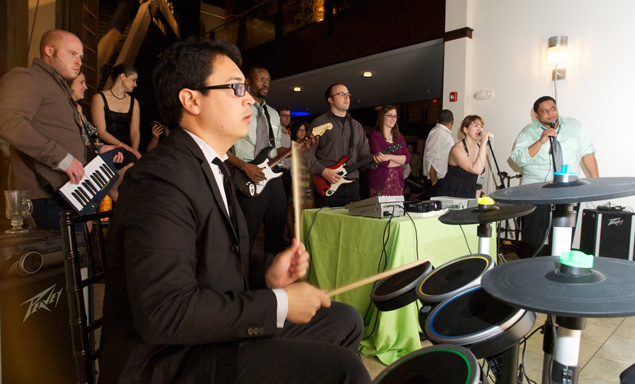 Available was a Wii with four controllers where attendees could play Mario Kart and New Super Mario Bros. Wii, and a complete Xbox 360 Rock Band 3 setup with projection screen display. 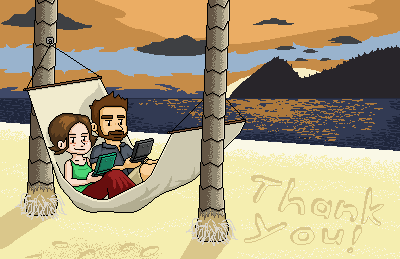 And to finish it all up, custom-made thank you cards featured a virtual Chris and Kelly sitting in a hammock on the beach, each playing Nintendo 3DSs. It was just like an ending screen you'd see after completing a game. To read more about the wedding, go here. Thanks for sending that in Chris Maguire!